Here are some of the numbers that helped define the Packers 23-16 win over the Chicago Bears on November 12. The Packers have now won eight straight games against the Bears at Soldier Field. Green Bay has held the Bears to under 20 points in 13 of their last 19 meetings. The Pack is 12-1 in those games. The Packers have now won eight of their last 10 games when they score in the first quarter. Since 2010, Green Bay is 63-24-1 (.722) in games when they score points in the first quarter. Mike Daniels had a sack in the contest. Green Bay is 16-3-1 (.825) when Daniels gets one of more sacks in a contest (a game with 0.5 sacks is not included in this stat). Nick Perry had three sacks for the Packers in the game. He is the first player since A.J. Hawk in 2013 to have three or more sacks in a game for the Packers. Perry is the 15th Packers defender since 1982 (when sacks became an official stat) to record three or more sacks in a game. The Packers “D” had five sacks in the game. They are 12-0-1 in the last 13 games when they get five or more sacks. Since 2000, the team is 31-8-1 (.788) in games where the defense records five or more sacks in a game. The Packers had a 10-6 lead at halftime. They have now won 13 of their last 14 when they have a lead at halftime on the road. 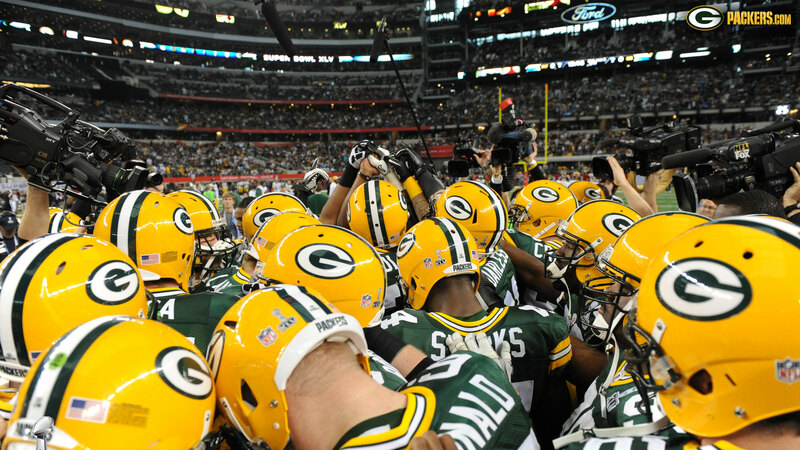 Since 2000, Green Bay is 55-15 (.786) in road games where they held the lead at halftime. The Packers led 13-6 going into the fourth quarter. They have now won 15 straight when they have a lead on the road going into the fourth quarter. Mason Crosby made three field goals in the game. Green Bay is 30-7 (.811) in the regular season in games where Crosby makes three or more field goals. Davante Adams had a 19-yard TD reception in the game. It was the first TD pass for the team in the last three games. Chicago Bears QB Mitchell Trubisky had a Passer Rating of 97.0. That is the sixth highest Passer Rating for a rookie QB versus the Packers. Charlie Batch holds the highest Passer Rating for a rookie QB versus the Packers; he had a 149.6 Passer Rating in 1998 in a Detroit win over Green Bay. Jamaal Williams rushed 20 times for 67 yards for the Packers. He was the first Packers running back to carry the ball 20 or more times since Eddie Lacy had 24 carries in a Dec. 13, 2015 game against the Cowboys. Williams became the seventh different Green Bay running back to have 20 or more carries in a game since 2010. The other six: Cedric Benson, Ryan Grant, Alex Green, Brandon Jackson, Eddie Lacy and James Starks. Brett Hundley had a 110.7 Passer Rating in the game. He becomes the 17th Green Bay QB to have a game with a Passer Rating above 100. The other 16 QBs: Brett Favre, Aaron Rodgers, Lynn Dickey, Don Majkowski, Randy Wright, David Whitehurst, Matt Flynn, Scott Hunter, Anthony Dilweg, John Hadl, Blair Kiel, Craig Nall, Bart Starr, Zeke Bratkowski, Doug Pederson and Mike Tomczak. The Packers rushed for 160 yards and held the Bears to only 55 yards rushing. It was the first game since 2012 that Green Bay had over 160 yards rushing and held the opposition under 60 yards in the same game (versus Arizona… the Packers had 176 yards rushing, the Cardinals had 54). The Packers have now had nine games with 160+ yards rushing and the opponents were under 60… Green Bay was 9-0 in these games. For the second straight game, the Packers did not have a turnover. They have now won 11 of their last 13 when they do not commit a turnover. Since 2010, Green Bay is 37-6-1 (.852) in games where they have zero turnovers.